If you use Slack for internal collaboration, and Zoho Desk for your customer support, why compromise on either when you can get the best of both? 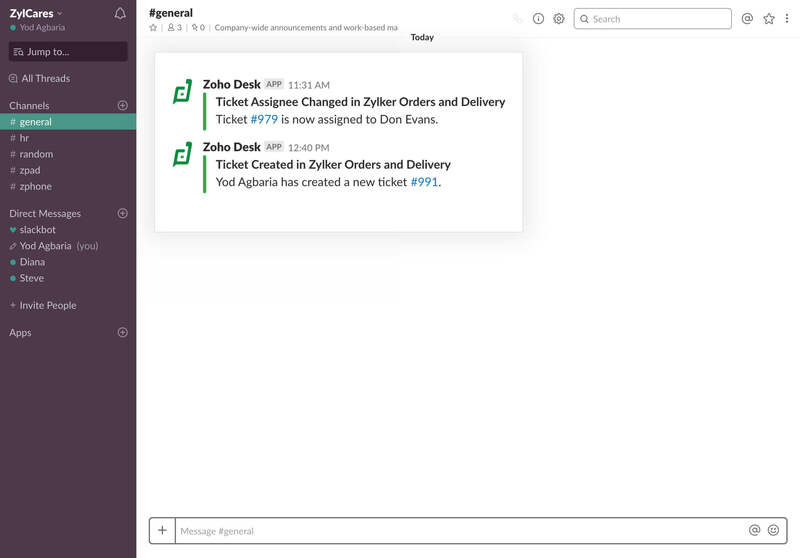 Introducing Slack for Zoho Desk. Get support notifications, collaborate with your team and boost productivity from within Slack. Tired of keeping track of conversations across multiple apps? 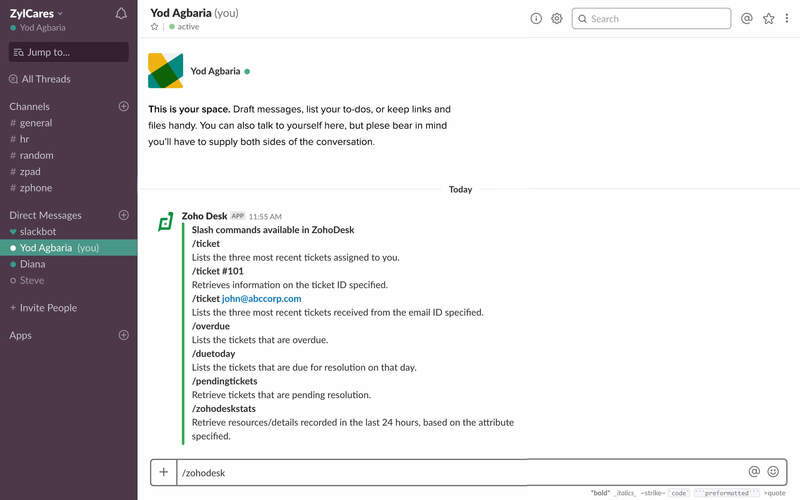 Zoho Desk's integration with Slack brings all your chats onto a single platform. Agents get relevant information at the right time to improve customer satisfaction. Sharing the right information on the wrong channel can be confusing. Now there's an easy way to avoid that. 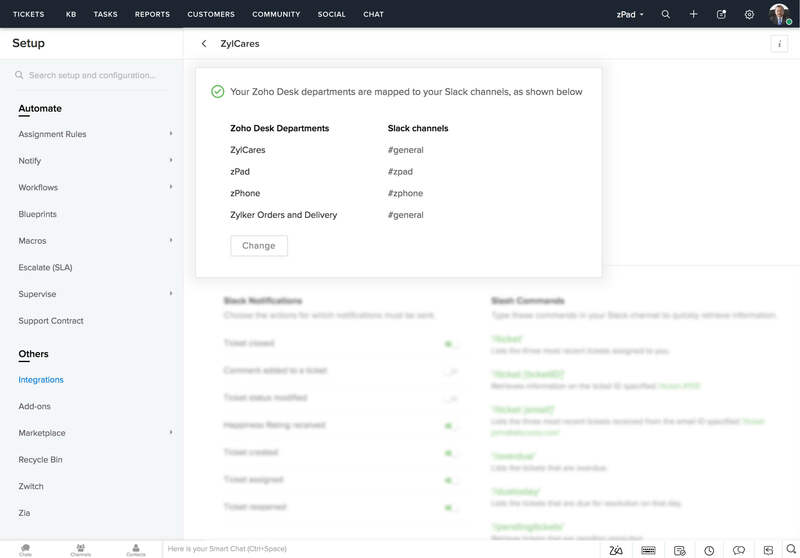 Bridge the gap between your support departments and Slack channels with a single click, so tickets shared are always mapped to the right channels. Staying clued-in on ticket activity is crucial to customer service. 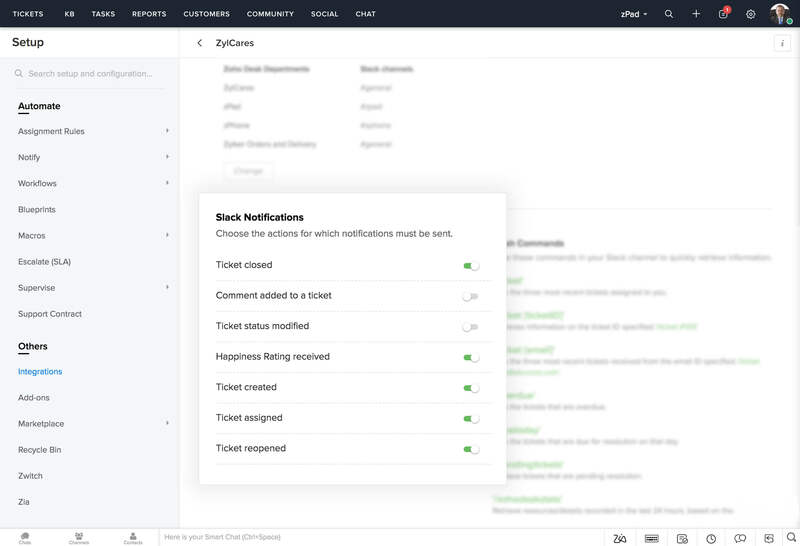 Now, you can configure real-time updates to keep agents informed every time a ticket is opened or closed, a happiness rating is received, or a status is modified. All this delivered instantly to your Slack channel, so you don't miss a beat! 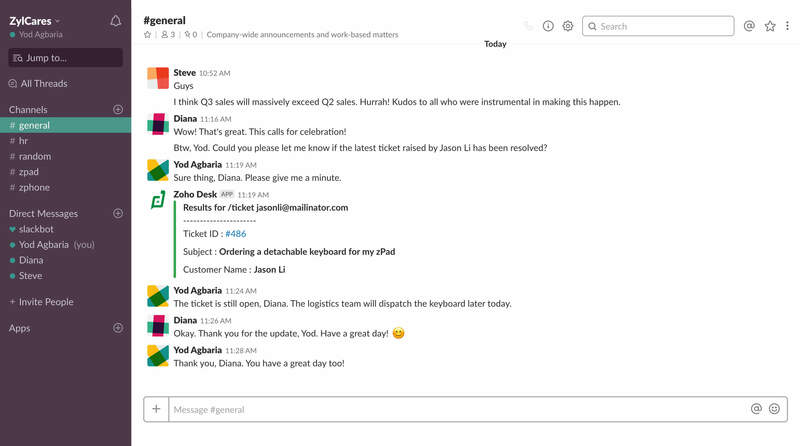 With simple slash commands, agents can retrieve vital ticket information, without having to shuffle between multiple tabs, right within their Slack channels. What's more, you can configure a daily report to keep you in the loop at all times. Add more context to your conversations.